Difficulty: Very difficult, no idea why HK Walkers only gave this just 2 stars for difficulty. Although I haven’t done Ma On Shan Massif (Maclehose Stage 4) yet which is 3 stars. 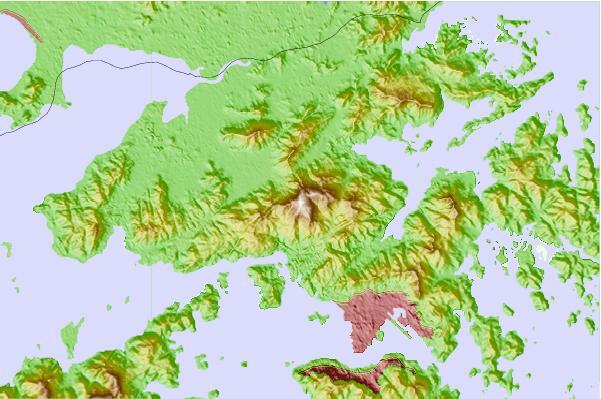 Tai Mo Shan’s geographic location – it’s pretty clear where it is from this vantage point. Tai Mo Shan was once a volcano and has long been extinct, so it is made up of volcanic rocks from the Jurassic age. These few weeks mark the end of hiking season as the weather is officially getting too hot to walk long distances uphill comfortably. 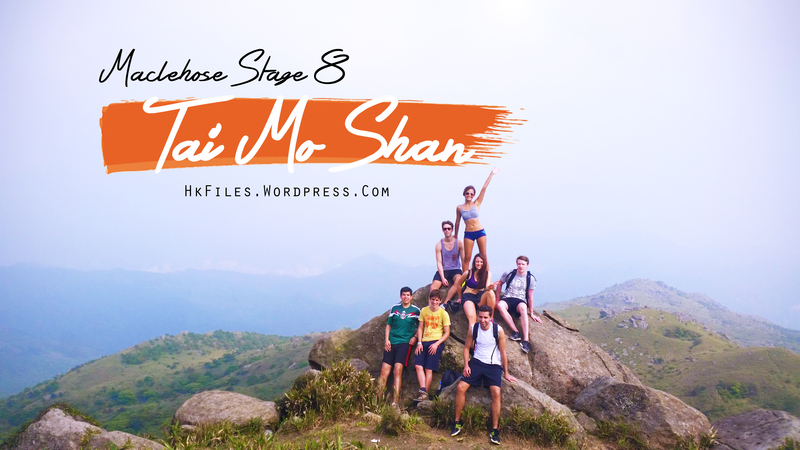 So we thought we’d do one last big one before summer – Tai Mo Shan (literally big hat mountain), Hong Kong’s highest peak at 957 metres above sea level. It was allegedly snowing here last winter. Take the MTR red line to Tsuen Wan, Kwai Hing, or Tai Wo Hau Station. Google maps will always tell you to take the train to Tai Po Market Station but that’s the easiest way via public transportation, not taking into account taxis. BRING FOOD AND WATER. At least 2 bottles of water per person. I recommend 3. Before scaling the actual mountain, we reached a crossroads whose right fork would have taken us down to a waterfall. As much as we wanted to jump into a pool of cool water, we had our hearts set on the goal. The waterfall was left for later. From Wikipedia: The area surrounding Tai Mo Shan is a known as Tai Mo Shan Country Park, which covers an area of 14.40 km². It is located to the north of Tai Lam Country Park. 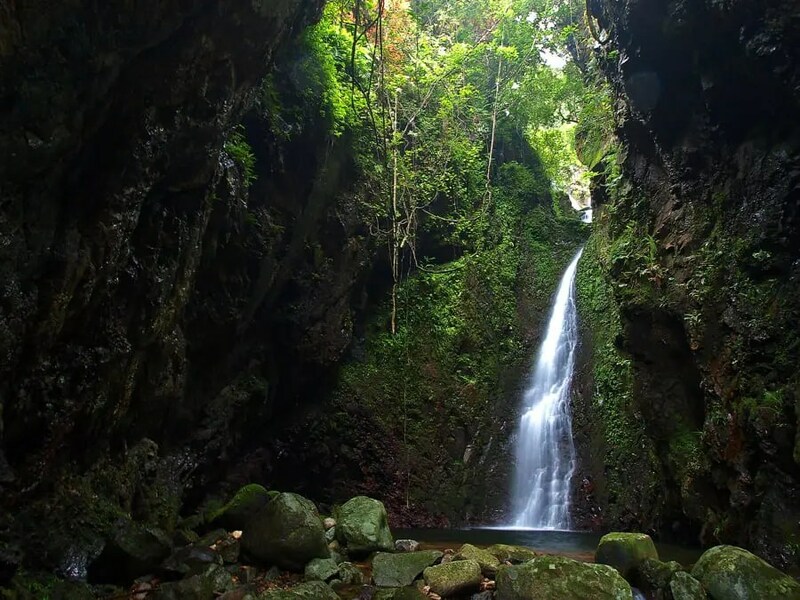 It is noted to have the 35-metre Long Falls, the highest waterfall in Hong Kong. Nice post – sounds like a pretty tough hike. I might do it some day. Just curious, what app did you use to get the funky font onto your first picture? Looks great! Cool thanks. I’ll give the app a try! did the hike once, though in the opposite direction. from route twisk to the reservoir. I think that probably makes more sense because the starting point is more easily accessed! did you take taxi to route twisk? thanks. This is awesome..my friend and i are planing to go there this coming sunday,thanks for sharing.. If you think this one is tough, never try approaching from the Yuen Long direction lol. It really sounds like a great hike. Unfortunately it seems that most pictures you posted got lost (at least there are only blanc fields marked with x on my screen. I can only see the first 4 pictures plus the one with Long Falls further down. Can you add them again? Many thanks! Sure, thanks for telling me! 🙂 I hope it’s fixed now! Many thanks – I can see all pictures now. Is it from tai po then we.take bus? Hey! Sorry for the super late response, just updated the photos! Hi, somehow the photos do not show. I thinks you may have moved the folder or something. Could you please reload. I have hiked to the Lion Rock and would like to go all the way to Tai Mo Shan. Looking to do this hike this weekend. Do you confirm, i should go to Taipo MTR and get a cab to Lead Mine Pass? Is it fine to do it alone? i.e. path is clear, can’t get lost? Thanks, your website is super useful! Thanks for this. Did this today from Tai Po Market to enjoy the villages along the way but took the wrong fork shortly after the start of maclose trail 8. Thought I was fine because the trail was marked from google maps, but it ended up being an unmaintained trail and all the heat was trapped in by the overgrowth. Once I finally got back on maclose 8 the view was obscured by fog. Despite the weather and getting lost, was a fun hike. Will try again when the air is clear. 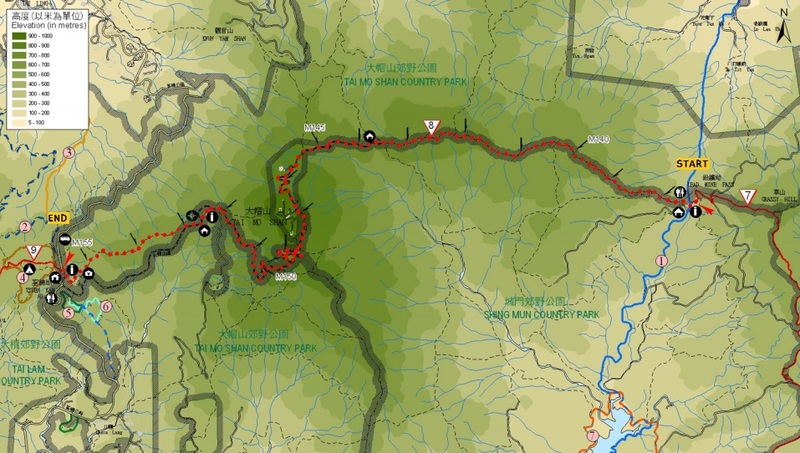 Hi, I am planning on doing this hike on my own next week, I am just wondering when I finish the trail is it best to join the Wilson trail to get back to civilization or do I stay on the original trail in the hope I will eventually hit an MTR station? I cant quite work out how to do it. Hi!im just wondering if from tai po mtr and we take the minibus? What’a the terrain like? Is it steps or trail path? Is it directly up steep wise or more gradual? Is the 5hrs hike duration includes the ascend and descend from the summit? Thanks for your blog! I use it as an inspiration to hike in HongKong. Today I went up to Ma On Shan, and yes, it is very difficult… probably it depends how you go up. Hi there. I recently attempted Tai Mo Shan following your blogpost. It is not possible to cab right up to Lead Mine Pass no? I tried several cabbies and none knew. In the end we started the hike from Shing Mun reservoir and when we got to Lead Mine Pass it didn’t look at all like vehicles could reach it. Hi! We actually hiked from the northern New Territories if I remember correctly! Tai Mo Shan sounds strange for me. Hong Kong just has two things that attract me such as shopping and trekking. I will put this route into my bucket list for the next trip to Hong Kong. Thanks so much for your sharing!